Israeli Prime Minister Benjamin Netanyahu has previously been questioned four times as part of the investigations. 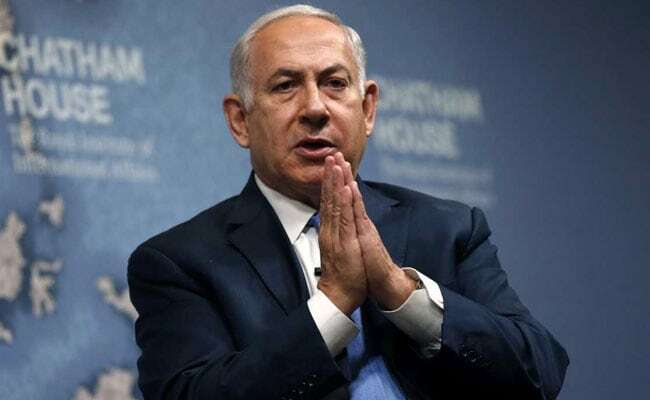 Jerusalem: Israeli Prime Minister Benjamin Netanyahu was questioned by police on Thursday evening in connection with two separate investigations into alleged corruption, a police statement said. "We confirm that the prime minister was questioned today for several hours at his Jerusalem residence," the Hebrew language statement said adding, that the interrogation was carried out by detectives of national fraud and serious crimes squad. It gave no further details. Israeli media said that the detectives arrived at the house shortly before 5.00 pm (1500 GMT) and left about four hours later. He is suspected to have received luxury gifts from wealthy supporters, including Israeli businessman and Hollywood producer Arnon Milchan, a longtime friend who reportedly sent boxes of expensive cigars and other items with a value of tens of thousands of dollars.